Waldlaufer Florat 448001 women's velcro sandal. 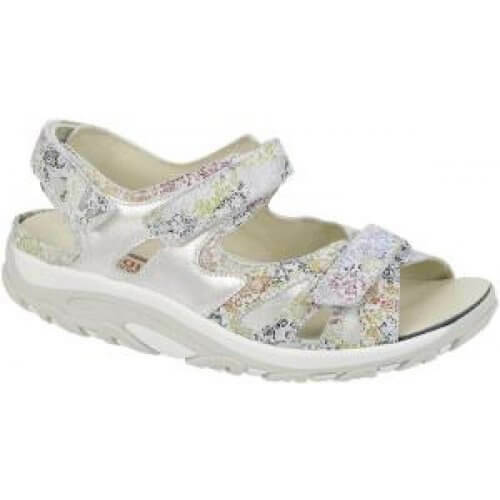 It features a beautiful, but subtle rainbow brocade effect pattern that is printed on the soft leather upper; metallic silver panels provide contrast to the colourful sandal. Adjustable in three places, over the toes, over the instep and around the back of the heel, allowing for the perfect fit.The wide H width fitting makes it ideal for those ladies who need a wider fitting sandal. It also has removable insoles, making it great for orthotics or very wide feet. 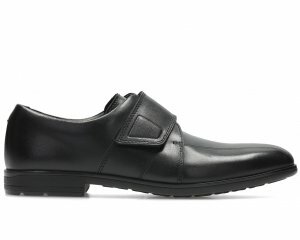 The thick and durable sole makes it ideal for everyday casual wear. Funky and Fabulous! Waldlaufer Florat 448001 is available in multi from a size 3-8, half sizes are available.